You are a traveler. An ardent traveler! 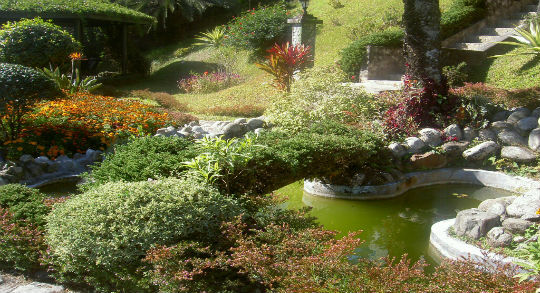 You have trekked on the Himalayas and indulged in scuba diving in the pristine blue green waters of Andaman islands. But have you visited Kolkata during October? Have you visited the city of joy when she adorns herself like a newly-wed blushing bride beaming with happiness filled till the brim? You haven’t? Then make sure it’s on your list! Many say Kolkata is a time-warped city, moving at its own pace, having all the time in the world, yet rushing perpetually. Ideally the city can be visited during any time of the year, but if you want to breathe in the true spirit of the city and its people, then visit during the Durga Puja. You might have already visited pandals at Chittaranjan Park in Delhi, or Lokhandwala in Mumbai, but believe me when I say this, even if you take the madness of Diwali in Delhi, Navaratri in Gujarat and Ganeshotsav in Mumbai, still Kolkata would surpass it all in ubiquitous glory when it comes to celebrating the homecoming of its very favourite daughter: Maa Durga from Kailash with her four children by her side. 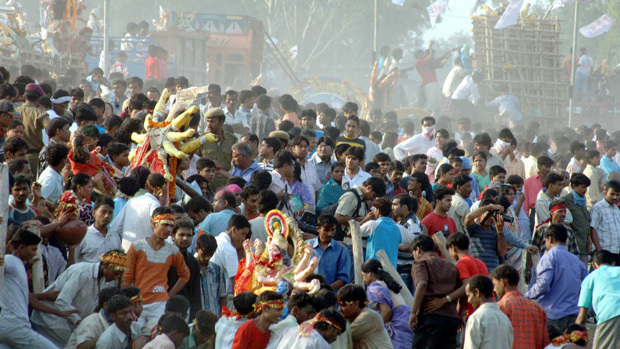 The celebrations commence from Mahalaya, when the city wakes up to the thundering voice of the late Birendra Krishna Bhadra chanting on the radios, narrating the legend of the glorious battle between the goddess and the demon mahishasura and his vanquish, which earned the goddess her title of ‘Mahishasuramardini’! And from then, its festivities! Spanning over four days, the pujas see the city come to life- hustling and bustling with positivity and exuberance! 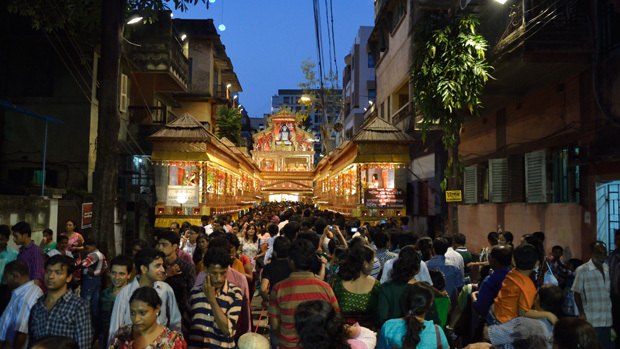 People from all walks of life, head towards the pandals with a smile on their faces to take a look at the iridescent decorations and the beautiful face of the idol, devotees seek blessings and celebrate the reign of good over evil. Perhaps you’re an atheist and you are frowning at the naivete of this article, but even if you don’t believe in God, surely you must believe in the aesthetic sensibility of men? If not for anything, visit once to soak up the grandeur that the artisans put in their works in creating every facade of each pandal and each idol, the intricate details which require months of hard work and a crisp vision and I promise you, you’d be left stupefied. From the north to the south, every nook and corner of the city is filled with nothing but positivity and glorious happiness. 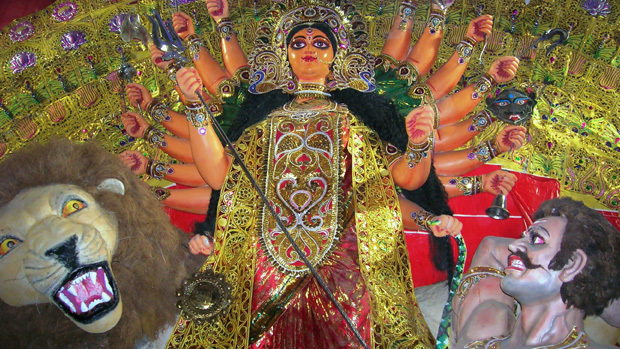 And everyone should once experience the madness that is the Durga Puja of Kolkata, at least once in their lives! So what are you waiting for? Pack in your favorite clothes, for Durga Puja is also the time to flaunt your style, and come to Kolkata for she awaits you with open arms. And if you think it is too much of a hassle, then do feel free to visit http://www.prefetrip.com for exciting deals on hotels to make your stay pleasant and read blog-posts to excite your wandering lust further. ← Tiger hills, Glenary’s and Keventer’s: the Darjeeling of songs and love!